Programming for Kids - Blackrock Networks, Inc. Programming classes taught by real programmers. Contact classes@blackrocknetworks.com to find out about upcoming class schedules. The class is a 15 weeks course (over 4-5 months), taught by a software developer. We will cover the basics of "real" computer programming in Python, an easy to learn language that is used today in many companies. The children will learn how to read, write, and modify basic Python programs. We will learn about variables, loops, if-then-else statements, and functions. Some of the topics we will cover include how to use Python to do math problems, draw pictures, write a quiz, make secret messages, and do cool things in Minecraft (Pi Edition). Previous typing experience is very beneficial. Previous programming experience is not expected. The class material is challenging and is best suited for students who like computers and enjoy problem solving. Programming with Python Level 2 will continue where the Introduction to Computer Programming Python Class left off. Initially we will do a review of what was covered last year. After that we will continue to introduce new concepts such as dictionaries, for loops, ranges, sorting, and reading/writing files. We will make heavier use of functions and will introduce some basic object oriented programming concepts. Some of the projects we are going to program include Snake, Xs and Os, Memory Game and Minecraft Maze Game. We will continue where the Programming With Python Level 2 Class left off. Initially we will do a review of what was covered last semester. After that we will continue to introduce more concepts like sorting, searching for data in a CSV file, and more about object oriented programming. The students will also start solving simple problems using their programming skills. Some of the programs we will be writing include a matching pairs game, a sink your ship game, an image based puzzle, and a MIDI music player. This class continues where Programming with Python Level 3 left off. We will begin learning how to use Python to write basic web applications on the internet. Students will get an overview of how internet websites work, and we will cover some details about HyperText Markup Language (HTML). Students will write Python programs to generate HTML, and then view it in their web browser. Students will learn about web forms and different kinds of input controls that can be used. They will write their own web forms and Python programs to process the form data. Students will learn about web servers, and execute their web applications using a web server hosted on their own Raspberry Pi. We will also cover some unix terminal commands and basic file permissions operations. 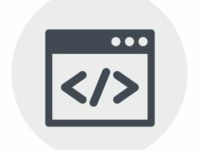 In this class we will practice our Python, HTML and CSS skills, and use them to write simple dynamic web applications. We will learn about Web Hosting, DNS and SFTP. Students who have permission from their parents can set up an external website. Students will understand what internet cookies are, and we will use them in our programs. We will cover more Unix terminal commands that will work on Raspbian. Students will also write more Python programs from pseudo-code. Internet connectivity will be required for this class. Register for computer programming classes in Winchester, MA now. Join our email list to be notified when registration opens and of upcoming class schedules. "He had an amazing experience and LOVED this class (and the homework!). Can't say enough about it -- just wish more kids could experience it!" "The class was taught in an age- and level-appropriate pace"
“Class was focused, organized and thoughtful. The homework was great."